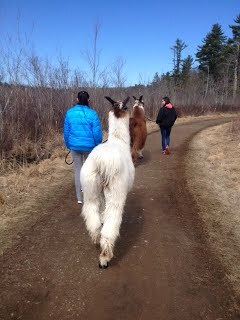 Take a Walk with a Llama! for rates and to arrange a walk. Country Quilt Llama Farm is proud to offer over 20 years of experience in entertaining and educating people of all ages about llamas. 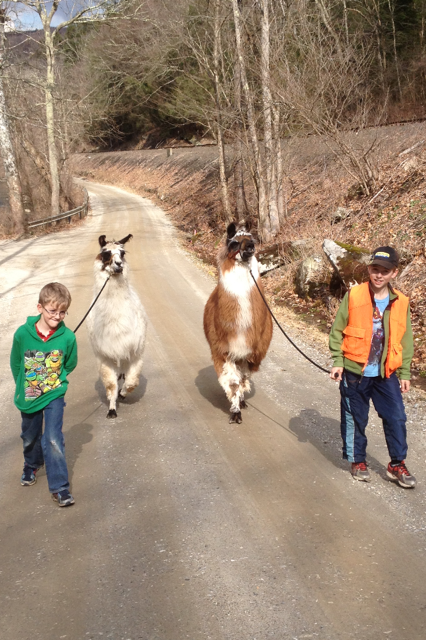 In 1992, Debbie Elias, the owner of Country Quilt Llama Farm, started a children’s program called “Hooked On Llamas”. Children can pet the llama, then listen to the story “Is Your Mama a Llama?” Children learn the many uses of llamas and get to see llama fiber products which they can see and touch. Elias also developed Therapy program which does over 100 programs a year, where she takes her llamas to work with adults at rest homes and assisted living facilities and other Adult centers.